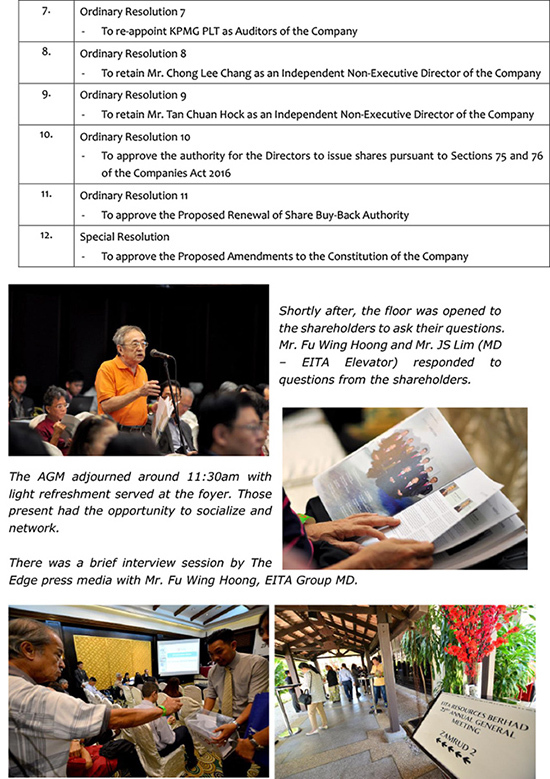 Upon achieving quorum, the AGM started promptly at 10:30am. 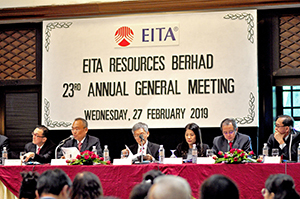 Dato’ Siow, EITA’s Chairman thus proceeded to chair the AGM. 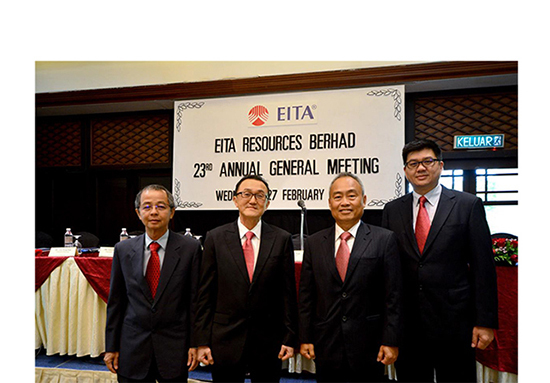 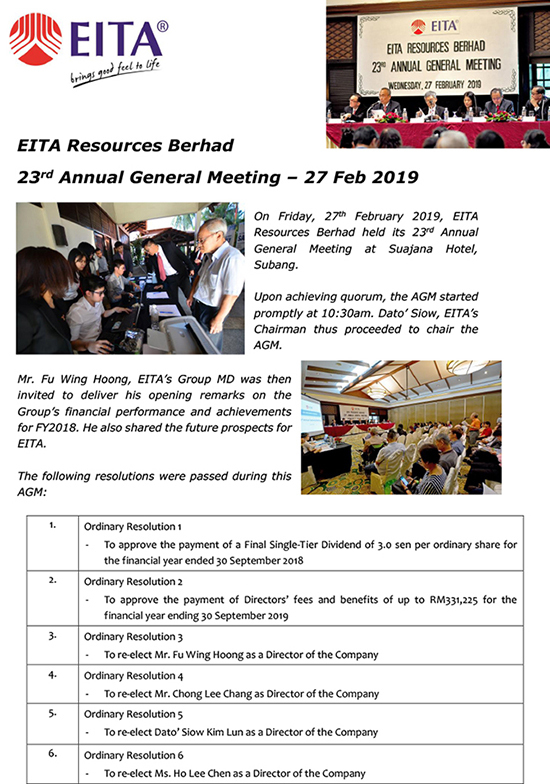 Mr. Fu Wing Hoong, EITA’s Group MD was then invited to deliver his opening remarks on the Group’s financial performance and achievements for FY2018. 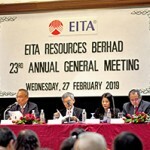 He also shared the future prospects for EITA.